Milcrofton is currently working on a system wide service line upgrade for customers we’ve deemed needing a service upgrade. Over the next five months these services will be replaced. You’ll receive notification either on your mailbox or at your front door a few days before the work begins. The notice will give you contact information if you need to reach the contractor during or after the service line upgrade is completed. Milcrofton Utility District service line upgrade goes from our public water main to the District’s water meter box. 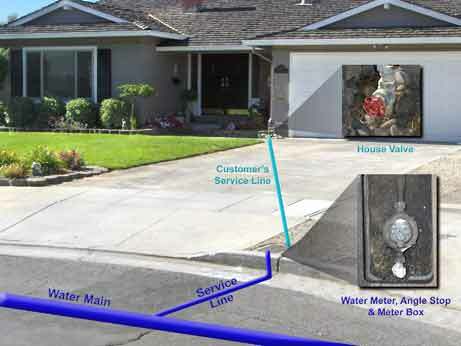 The water meter box and its components are being exchanged during this upgrade. On the other side of the meter box the contractor will be reconnecting the customer’s service line to the meter setter components within the meter box. 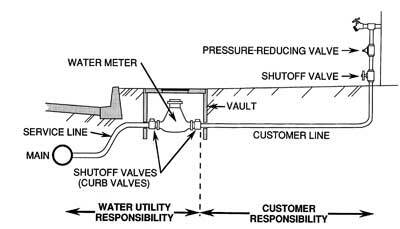 Once the service line upgrades are completed the District plans on a system wide water meter change out program to begin. The new water meter system will give our customer’s options for notifications or alerts based on user preferences you define as well as past usage history to review at your convenience. Giving daily alerts and past history viewable at anytime is vital for our customers to know when water was consumed and allows high usage or leak to be corrected before it’s too costly or waste anymore water. The meter change out program will hopefully begin in January of 2018. This entry was posted on May 15, 2017, 2:47 pm and is filed under Projects. You can follow any responses to this entry through RSS 2.0. Both comments and pings are currently closed.